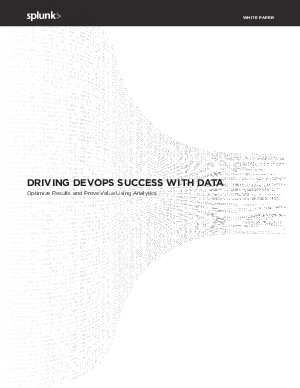 DevOps allows teams to effectively build, test, release, and respond to your software. But creating an agile, data-driven culture is easier said than done. Developer and devops teams struggle with lack of visibility into application monitoring tools and systems, accelerated time-to-market pressure, and increased complexity throughout the devops lifecycle process. As a Splunk customer, how are you using your machine data platform to adopt DevOps and optimize your application delivery pipeline?